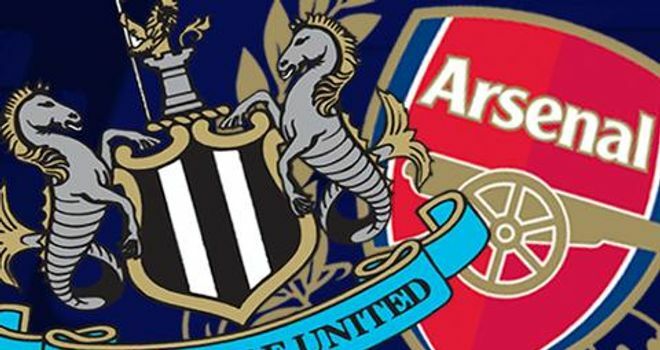 In their final clash of this season’s Premier League campaign, Newcastle find themselves hosting Arsenal – a repeat of their opening clash season, a 0-0 which saw Gervinho sent off on his Arsenal debut for slapping Joey Barton. Arsenal will be turning up to the game highly motivated, with a top 4 spot not yet assured – a Tottenham victory with Arsenal failing to win will see Spurs leapfrog the Gunners into 4th place. And given the relative levels of motivation of the two sides, most match odds are in Arsenal’s favour despite their being the away team – the likes of Unibet don’t see Newcastle as being likely to get more than a draw out of this fixture at best. They also find themselves in the somewhat unusual predicament of possibly facing a 39th league game – if Chelsea draw and Arsenal win by one goal whilst scoring exactly two goals more than Chelsea do (e.g. Chelsea draw 1-1 and Arsenal win 3-2, or Chelsea draw 0-0 and Arsenal win 2-1) then the two will have to have a playoff at a neutral venue to decide who takes the final automatic Champions League spot. As such, for Arsene Wenger’s men there is still plenty left to play for. If only the same could be said about Newcastle. Last week’s win at already-relegated QPR saw them assure their own safety and Premier League status for at least another season, despite a vastly disappointing campaign. Unsurprisingly, the fact that they are now unable to get any higher than 10th – and even that would require several results going their way – will probably have a negative effect on a few players, whose minds may well already be focused on which five star resort they’ll be staying at this summer. Even Alan Pardew has stated after last week’s game that he won’t care if the Magpies lose 4-0 this time round, as they are already safe – hardly the words most fans will want to hear from a manager who has already frustrated most with his actions and statements this year. In terms of injury news, Newcastle are unlikely to have Tiote starting given that he hobbled off against QPR, while Rob Elliot’s suspension means that the Gallowgate End will see Steve Harper for one final time before he leaves the club at the end of the season. Arsenal have just announced that Jack Wilshere is to have surgery, meaning he too may well be on the bench at best. As such, Newcastle are likely to come up against a similar 4-3-3/4-2-3-1 to the one that started against Wigan. The only possible change to be made to the back four is Monreal potentially starting instead of Kieran Gibbs, as Koscielny and Mertesacker’s strong partnership has pushed Thomas Vermaelen out of the side. Further up, if lineups stay the same Arteta will keep possession flowing in a deep midfield role, linking play laterally. Rosicky or Wilshere will link midfield and attack with quick, short, forward passes and Walcott will play from the right hand side, cutting in occasionally to support Podolski, whilst on the other side either Cazorla will play as a playmaker from a wide area, or Ramsey or Oxlade-Chamberlain will provide a more orthodox role mixed with more energy defensively. If the latter is the case, Cazorla will most likely start in an attacking midfield role, slipping through balls into Podolski and Walcott and picking up pockets of space between Newcastle’s defence and attack, occasionally dropping off into deep areas if James Perch – who will most likely replace Tiote marks him well enough. Newcastle too will probably have a similar lineup, and will hopefully motivate themselves for one final push against a good side to give the fans a nice send-off for the summer.